Att. : 0039 is the International Dialing Codes for Italy. Att. 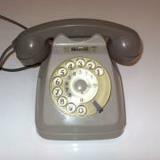 : In Italy all landline numbers would begin with a 0 and mobile phone numbers with a 3. Att. : I have verified that you can receive call ONLY if you are using Skype Phone Number services using the related number. You cannot receive calls directed to skype account (business): this because of a bug with the software skype vers. >= 6.1 . This entry was posted in Asterisk, Voip and tagged Asterisk, Pbx in a Flash, PiaF, Skype, Voip by Giampaolo Tucci. Bookmark the permalink.